Many a great musician has come out of Austin, Texas. It has historically offered up many left field artists and provided an outlet for music that might otherwise not have seen the light of day. So, Matthew Squires joins a long list of singer-songwriters using that base to get their music heard. 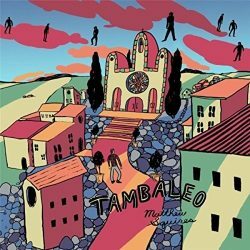 His music has been portrayed as idiosyncratic and ‘Tambaleo’, his sixth album, does nothing to dispel that description. This album is marketed as ‘subtly offbeat psychedelic pop’ which probably best sums up this offering. Easy listening it is not and it can be hard to detect the subtlety here. Marketed under the genre ‘Pop/Psych-Folk/Indie’ this may appeal to die-hard fans but it does not feel like an album that will bring his music to a wider audience. ‘Silent World’, with its deep groove and quirky backing vocals is the closest the album has to a radio friendly tune. It delivers a melodic flow that is lacking elsewhere here. The music has an almost experimental feel to it, quirky and thought provoking lyrics and unusual arrangements that are can be put firmly in the Marmite category of songwriting. The lack of access to track lyrics is a disappointment as these are clearly labours of love and warrant a more nuanced assessment. Similarly, there is no clue to the supporting musicians employed on the album or the extent to which Matthew himself contributed musically. ‘Unwholesome Health’ begins with an imagined phone call from Judas bemoaning the pain he had inflicted upon Mary with his rather unchristian behaviour. That religious references surface on a number of tracks may not be a surprise with the knowledge that Matthew has spent much of the two years since his last album in a monastic Buddhist community in East Texas. This a lyrically powerful album that is definitely offbeat, not without its merits, but does not have enough about it to really make it memorable.